Losing a Pet by any means puts the whole family on strain; at Rustic Stone we have been making garden pet memorials in many forms such as stone gravestones, headstones, plaques and markers for many years. We strongly believe that we are one of the best engraving stone providers in this kind of business due to the sheer amount of experience we have. We have out lasted our online competitors by always providing excellent customer service as well as a product the customer wants, also our prices are always kept competitive and if you find cheaper which offers the same quality we would like to hear about it and maybe offer some kind of price match. This pet grave marker stone is a nice way to memorialise your beloved pet with a discrete but pretty marker. The pet grave marker stone shown here has the dimensions of 400mm x 150mm. While this free standing sold Welsh Slate stone is smaller than the others, this serves a purpose as the stone was to be displayed under a low hanging tree where the pet was buried – her favorite spot in the garden. Cats and Dogs are among the most popular pets in the United Kingdom and with that in mind these types of pets are sadly lost every single day and leave family’s heart broken, we at Rustic Stone know from firsthand experience exactly how hard it can be for you and your family when your canine or feline passes, our staff are all animal and pet lovers ourselves. Because we have been in business for over a decade we have the compassion and experience to make purchasing a memorial for your dog or cat that much easier, simple give us a call and we try and assist you as much as we can without any hassle. Should you need ideas for designing your headstone or plaque then we have listed a few within this collection which should help you, again if you have any questions simply give us a call. 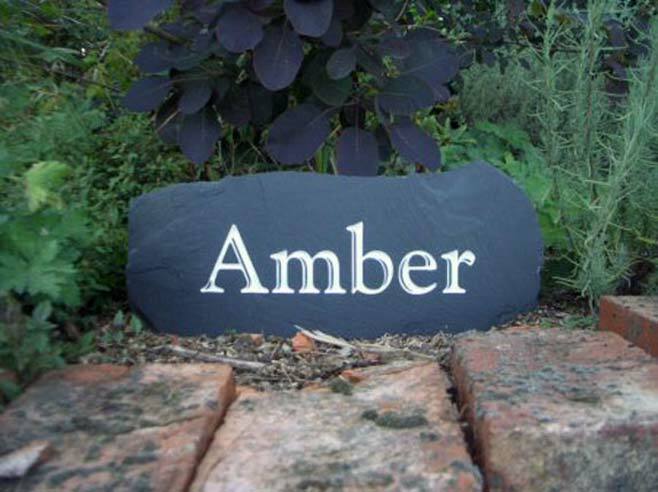 This lovely dog memorial stone is a medium sized product that is created from a solid Welsh Slate. 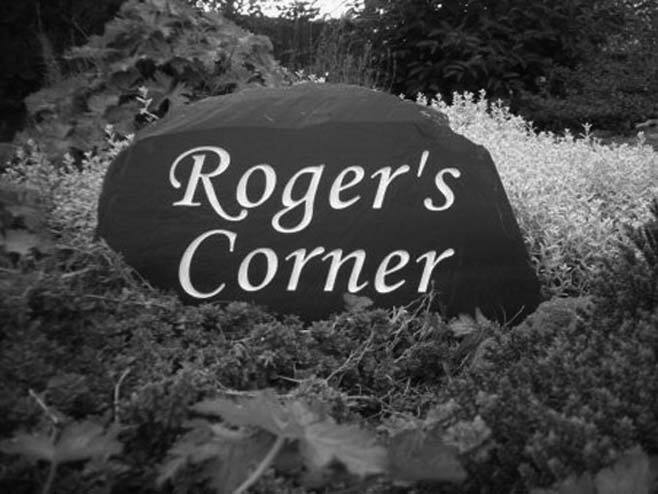 The font you see used here is Monotype Corsiva, and is filled in with white paint, which is a good contrasting colour.